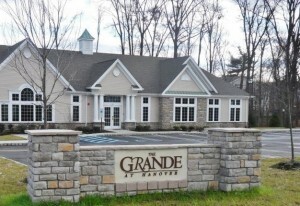 The Grande At Hanover, a distinctive community of 1 and 2 bedroom Condo and Townhome residences, is conveniently located in Whippany NJ. The community is a great place to live, raise a family, relax and enjoy life! Whippany, which is a section of Hanover Township lies about 30 miles west of New York City in Morris County, NJ and is just minutes away from all the conveniences necessary for today’s lifestyles. It is also close to the convenience culture of vibrant downtown Morristown, NJ. Fore more information about living in this community, please visit www.GrandeAtHanoverLiving.com For Available Homes in The Grande at Hanover, please Contact Us! National award-winners and seasoned Realtors with over many years of experience in Northern & Central New Jersey, Rahul & Smitha and their team have become New Jersey’s “Go To” agents and consistent leaders with a reputation for tenaciously protecting their clients’ interests. They specialize in Morris, Somerset, Essex, Union and Passaic counties.